In this article we will teach you how to get plumbing customers Figuring out exactly how to get plumbing customers is vital for the progression and growth of your plumbing business. In this article we dive right into some easy steps any plumber can use to gain new plumbing customers quickly. Trying to find effective marketing strategies can be an extremely expensive and time consuming process. Our aim is to help you avoid making the same mistakes that we’ve seen hold back some of our clients in the building trade. Becoming an established and popular plumbing business can take time and A LOT of hard work. There are hundreds and thousands of professional plumbers in the UK that are all fighting for the same thing. More plumbing customers. Similar to this article we have written another post on how to advertise my electrical business which has some actionable information and could be applied to any small business marketing. Over the years our small team at ShyFish Designs have helped plumbing businesses all throughout the UK get more customers through setting up affordable websites and providing online marketing such as SEO and PPC advertising campaigns for small businesses. However, we will discuss a few of these methods in depth later on in this article. We don’t want anyone to feel overwhelmed… (just yet)! Are you a domestic plumber? Do you prefer commercial plumbing? You need to weigh up your strengths and weaknesses and decide on what the best route is FOR YOU into your local plumbing market. There is nothing worse than when we see a small business owner who tries to do absolutely everything themselves. It doesn’t work. Well, not effectively at least. Ensure you spend a couple of weeks / months trying to figure out who you need to know. For example, if you plan on using a plumbing supplier you might want to try and get friendly with local suppliers who will then in turn give you good prices for materials. This is the part that nearly all plumbers we have spoken to hate. BUT there’s a good reason. The world of marketing (especially online) can be a baffling experience for most people. In this day and age you need to have a few basics set up such as a business website and social media. Try to not put all your eggs in every basket because it’s much more effective to master, just say Facebook and Twitter, than it is to try and master all social platforms out there. Offline marketing methods are obviously still effective and can go a long way on a low budget. For example, leaflet drops work for small businesses in a local area. You’ve got plumbing customers rolling in left, right and centre. Great. Now it’s time for the work. Reputation is EVERYTHING to a small business and one small mistake can damage your business / brand identity for a very long time. Ensure your plumbing customer is happy with all work taking place and feels comfortable with your around the house. For example, we mentioned in another article I wrote that giving a bottle of wine to say “thank you” for using your plumbing services will get you another 2-3 customers from positive referrals. Do something to stand out from other plumbers because most people don’t even go on price, but experience. Now that you’ve completed a few plumbing jobs and got a couple of good recommendations under your belt it’s time to nurture and follow up. This is ignored HUGELY by plumbers in the UK so can really make a difference to getting more plumbing customers. Make sure you ring, text or email old plumbing customers to ask how the work completed is and if they need any help with anything. Also, once you get a plumbing lead don’t ring once and never again. Usually for our web design business we have to ring 3, 4 or even 5 time before we get a client (sometimes we’ve rang over 12 times before getting them as a customer). Now that we’ve got the overview out of the way let’s dive into some easy to use methods that any plumber can learn to get more plumbing customers. Many plumbing businesses used to rely heavily upon customer referrals, recommendations and offline marketing to catapult their small business into growth. Since that era the market has changed dramatically. Smart phones. Quick internet connection. Laptops. People now search Google for whatever they are looking for especially when it comes to small local businesses. No one (generally) rings up their friends and asked if they know a good plumber and the ones that do aren’t enough to rely on to survive. Most people will search “plumbers in …” into Google and then check reviews, website, pictures, etc. As a consequence, making sure you understand the reasons why you need a website for your small business is critical. Most of the time our clients are under the impression a website for small businesses are really expensive. And in a lot of cases and companies business websites are expensive. Be careful which web design company you choose. You SHOULD NOT SPEND MORE than £400-£800 on a simple but professional website for your plumbing company. Every single day people are searching Google for plumbers so it is vital you are able to be found throughout your local area. You can use Google Keywords Planner which is a free tool designed to show you how many searches a particular phrase gets searched on Google every month (for example, “plumbers in Bristol” or “plumbers in London”). A website can benefit your plumbing business in several ways, such as: – Gaining more customers in the local area- Helping you save money (a website is usually cheaper than newspaper or other similar media ads)- Makes your plumbing business look more professional and trustworthy- Allows you to showcase your work and customers to find out more about you- Keeping up with your competition If you already have a website here’s a great article which teaches small businesses owners how to rank your small business website on Google. Our team are available to help if required and advice can be given. We have helped over 250+ small businesses throughout the UK using our affordable website packages and online marketing services. A lot of small business owners I come across on a weekly basis don’t think social media will benefit their business. Social media marketing can help spread awareness and identify your plumbing business within a local area quickly and effectively. Everyone is on social media platforms such as Facebook and Twitter so reaching out to potential customers looking for plumbers has never been easier. I’m not saying that being on social media is the answer to vast quantities of online sales so if you want to learn how to get instant leads this article is perfect for you. Depending on your type and demographic of typical customers will lead to using suitable social media platforms. For example, you wouldn’t join Instagram if you were trying to specifically aim for commercial clients. Think! Where are my target market ‘hanging out’? A) Facebook (domestic / commercial focused)B) Twitter (domestic / commercial focused)C) LinkedIn (commercial focused)D) Instagram (domestic focused)E) YouTube (slightly different) Slowly build up your social media following by following people in your local area and engaging with them on a daily basis. I know it sounds long and boring, but in one years time think about how many relationships you have built through messaging just say 15 people a day offering your services. DO NOT just say routinely “if you are looking for a plumber in Bristol, take a look at my website” because that will instantly turn people away. You need to provide people with helpful information that will make them feel more confident in you. For example, consider getting your web designer to write a FAQ section on your website. Tip: Once you have figured out exactly where your typical customer ‘hangs out’ online you can maybe consider setting up a PPC campaign. If you are unsure about what PPC advertising is then here’s a great article I wrote explaining how small businesses can use PPC to their advantage. Not that many plumbers we have seen or helped have not has an effective follow up system is place. Too many small business owners rely on jobs coming in right now and forget about the near future. Try not to become to obsessed with what’s happening right now and think about your long term goal (setting up an established profitable long term plumbing business). What little things could you do to stand out? What don’t your competition do? Have you asked your customers what could of been improved? Higher end car garages are known for usually ringing up a week or two after the sale has been completed to make sure everything was OK with the new car or service. This helps build a solid relationship with the customer and allows them to trust you. Next time they experience a plumbing problem who do you think they are going to call? They are going to call the plumber they know that cares about their customers. Have you ever attended local business events where you can network and make connections? Again the type of event comes down to whether you own a domestic or commercial plumbing business. Generally we have heard good things about local networking events from our plumbing clients. They prove to be a great way to get your name into the hands of influential and like minded people who are willing to help other local businesses grow. ALWAYS think how you can help other people before helping yourself. The whole process is a sales process. Make sure you ask open ended questions and clearly identify how you can help that person. Don’t just think about attending the most popular business networking events because these will usually be flooded with other people in your trade. However, look and think outside the box by attending networking events such as estate agent meet ups, letting agent meet ups, private landlords, etc. Flyer drops are a great way to get your plumbing business out to the local community. However, don’t just go out and print of a couple thousand leaflets and hope for best. There are a few points that need to be addressed and carefully through through to ensure you have a successful leaflet campaign. It’s not usually the cost of undertaking leaflet campaigns that’s the issue but the time it takes. A) What do you want to achieve with your leaflet? (more plumbing customers, brand awareness, directing plumbing customers towards your business website, etc).B) Will your flyer have time frame?C) How many leaflets will you need to achieve your goal?D) What information / details will need to be displayed on your leaflet?E) Who is your target market? Luckily for you we have already written a great article which will take you through the exact steps other plumbers have used to create a successful leafleting campaign. This article is available to read here. There are hundreds of other marketing tips and tricks I could include in this article to help you learn how to get plumbing customers. It’s much better to learn how to utilise 2-3 marketing methods than just dive into 7-8 you are OK with and understand. Trial and testing is key. Once you have figured out exactly what type of marketing works you can then increase your budget and drive greater results (meaning more plumbing customers). 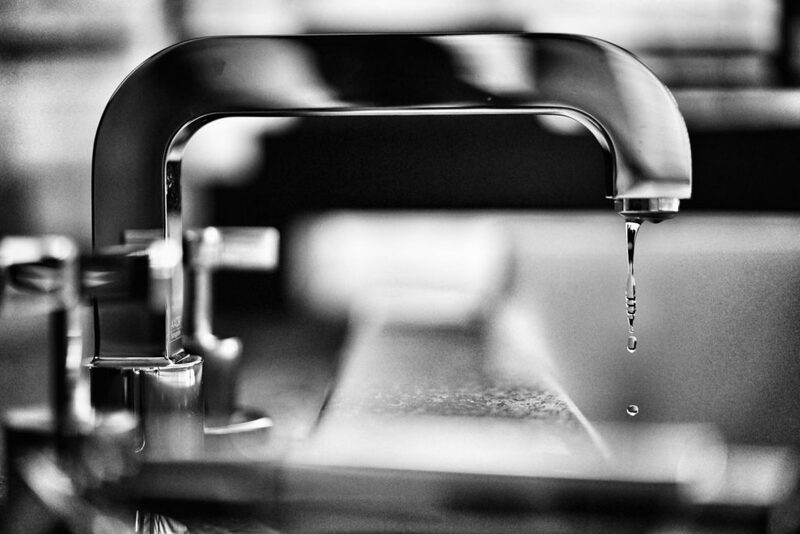 If you are unsure about how to get plumbing customers after reading this you should take a quick look through some other helpful articles we have written. With lots of information out there comes lots of questions and that’s why are team is always more than happy to help provide free consultation on any type of online or offline marketing, website design and graphic design. ShyFish Designs was founded by Jack Wiggins in 2014. The goal is to help small business owners succeed online with building, managing and ranking their websites on Google. With over 250 business owners giving us an average 5 star rating, we feel passionately about giving small businesses the help the need. YES, I WANT YOUR HELP! Founded by Jack Wiggins in 2014, ShyFish Designs help small business owners succeed online through building, managing and ranking their websites on Google. Let our team become a silent employee within your business taken care of all your online marketing.